We will work with you to schedule an installation time which minimises disruption to your daily operations.  Our installations are undertaken by in-house CSCS certified technicians and completed to the highest standards. We guarantee a professional, clean and tidy AV installation by friendly uniformed staff. We are used to working in corporate environments, so our people, vehicles and equipment always arrive on site professionally presented. Absolute engineers are ‘Crestron’ trained to provide a programming service for AV control systems. Whether you require a simple touch button system for turning your projector on/off or a more complex system to control an entire room, we will program a solution to fit your requirements. In the initial meeting we had with Absolute to discuss our AV requirements, they fully took on board what our requirement’s were and also made suggestions, which were helpful. The installation engineers, had good knowledge of the systems and answered any questions I had.